Dr. Elizabeth Wilder is currently the Director of the NIH Office of Strategic Coordination (OSC). This Office is a component of the Division of Program Coordination, Planning, and Strategic Initiatives (DPCPSI) in the NIH Office of the Director, and is responsible for management of the NIH Common Fund. 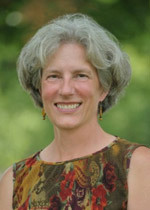 Dr. Wilder received a bachelor’s degree in chemistry from Hendrix College, a Ph.D. from Northwestern University in molecular and cell biology, conducted postdoctoral training at Harvard Medical School in developmental genetics, and served on the faculty at the University of Pennsylvania School of Medicine. She has held a position at the NIH since 2002, working first at the National Institute of Diabetes and Digestive and Kidney Diseases (NIDDK), and then joining the Office of the Director in 2008. 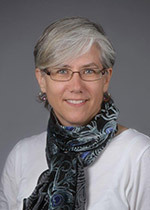 Throughout her time at the NIH, she has focused on trans-NIH programs, serving as coordinator of the NIH Roadmap Interdisciplinary Research Working Group and co-chairing the NIH Multiple Principal Investigator Policy Implementation Committee. She also participated in the earliest efforts to develop an operating framework for the NIH Roadmap, helping to establish guidelines for the administration of these cross-cutting collaborative initiatives. In her current role as Director of OSC, she is extending these activities to foster trans-NIH program management through the Common Fund. Dr. Paul Barrett joined the Common Fund in the Office of Strategic Coordination (OSC) in 2016 as a Health Specialist contractor. After receiving a Bachelor of Science degree in chemistry from SUNY Binghamton, Dr. Barrett worked as a laboratory technician at SUNY Stony Brook in a clinical research lab looking for novel, non-invasive biomarkers in bladder, prostate, and kidney cancers from human patients. Dr. Barrett continued his research career at Vanderbilt University, where he obtained a Ph.D. in Biochemistry. His work used nuclear magnetic resonance spectroscopy and other biochemical and biophysical assays to study the structure and function of membrane proteins and lipids in Alzheimer’s disease. He then served as a post-doctoral associate at the University of Pittsburgh where he investigated how protein/protein interactions disrupt mitochondrial function and contribute to neuronal death in Parkinson’s disease using in vitro and in vivo model systems. 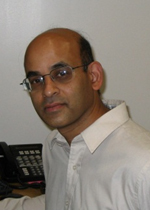 Dr. Ravi Basavappa received his Ph.D. in biophysics from the University of Chicago for studies on the structure of tRNA. He then was a post-doctoral fellow at Harvard Medical School in virus crystallography. Prior to joining NIH, he was associate professor of biochemistry and biophysics at the University of Rochester School of Medicine, where he studied the structural aspects of mitotic control by targeted protein degradation. At Rochester, he also was a research scholar of the Leukemia and Lymphoma Society of America and director of the Biophysics and Structural Biology Program. 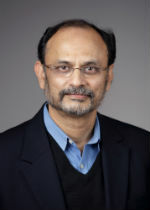 He joined NIH in 2004 as a program director in the Division of Cell Biology and Biophysics at the National Institute of General Medical Sciences (NIGMS), where he managed a portfolio in the biophysical properties of proteins, helped initiate the EUREKA program for high-risk high-reward research, and was the AIDS Coordinator. He joined the Office of Strategic Coordination in 2010. David Bollweg joined The Common Fund in the Office of Strategic Coordination as a program specialist contractor in May 2016. Prior to joining the Common Fund, Mr. Bollweg attended Yale University and received his bachelor’s degree in the history of science, medicine, and public health in December 2015. During his time at Yale, Mr. Bollweg’s studies focused on the historical evolution of medical treatments for mental and sexual health issues. His work at Yale culminated in a senior thesis on the history of anti-vaccination movements and their relation to the current HPV vaccines. Dr. Vivien Bonazzi joined the Office of Strategic Coordination in 2017. Dr. Bonazzi has been advising the NIH Office of the Director (OD) on data science-related issues since 2014. 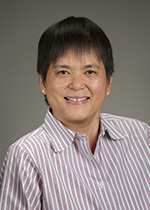 Before joining the NIH OD, she served as program director for the Computational Biology and Bioinformatics program for the NIH National Human Genome Research Institute (NHGRI). Prior to her work at NIH, Dr. Bonazzi developed and supported bioinformatics systems and tools for a variety of companies and consulting clients. 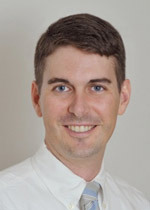 Dr. Bonazzi received a Ph.D. in Molecular Pharmacology and Computational Biology from the University of Melbourne, Australia. George Bramhall is a contractor providing budget consulting services within the Office of Strategic Coordination (OSC). These services include primary oversight of the NIH Common Fund appropriation during all phases of the budget cycle: execution, formulation, and presentation. 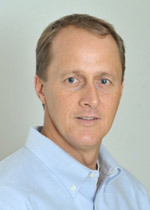 Mr. Bramhall is a 1990 graduate of Bridgewater College, in VA, with a B.A. in business administration. He comes to the OSC with over 17 years of budgeting experience at the NIH. 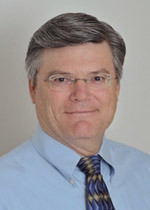 His NIH experience began as an accounting technician in the NIH Office of Financial Management, progressed as a budget analyst at both the National Institute of Mental Health (NIMH) and the National Institute of Neurological Disorders and Stroke (NINDS), and ultimately as the budget officer for the NINDS from 2005-2006. Dr. Rachel Britt is currently a Health Specialist and Communications Director in the Office of Strategic Coordination (OSC). She helps to ensure awareness and maximum impact of NIH Common Fund programs through communication and evaluation. Dr. Britt joined OSC in 2013 as Science & Technology Policy Fellow through the American Association for the Advancement of Science (AAAS). Prior to her fellowship, she studied DNA repair processes in B-lymphocytes of the human immune system as a postdoctoral scholar at the University of Southern California from 2010-2013. She began her studies of DNA repair as a graduate student at the University of Wisconsin-Madison, where she earned a Ph.D. in biochemistry in 2010. Tony Casco joined OSC in January 2015 as a program analyst contractor, assisting with the management and implementation of Common Fund programs. 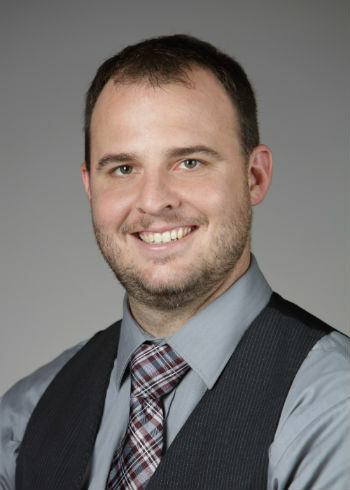 Mr. Casco has served NIH in a variety of capacities since he first joined the National Institute of Neurological Disorders and Stroke (NINDS) as an intern in 2004. 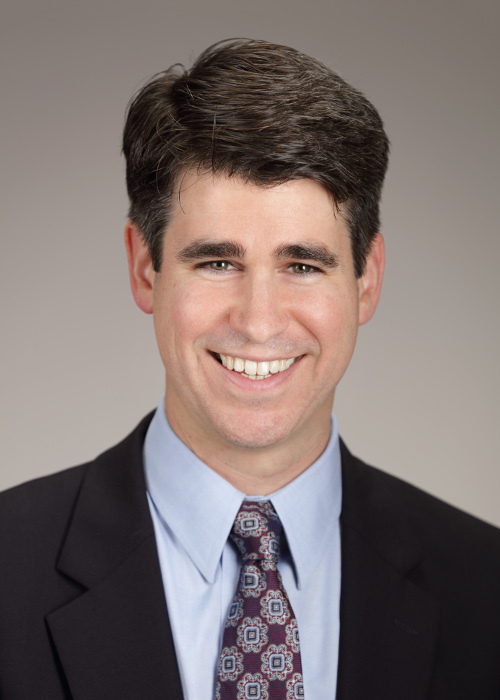 After completing his bachelor's degree in economics from Boston College in 2008, Mr. Casco returned to NINDS to serve under the assistant director for science administration. During that time, he helped run the NINDS Summer Internship Program and earned his Certificate of Accounting. He transitioned to National Institute of Mental Health (NIMH) as a budget analyst and then had a brief tenure at the National Institute of Allergy and Infectious Diseases (NIAID) within the Office of Planning and Operations Support before joining OSC. In his decade-plus service to NIH, Mr. Casco has contributed to critical systems programs including QlikView - a data visualization tool that has since been adopted by multiple institutes. 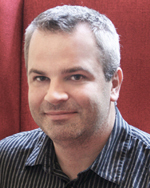 He received an NIH 2014 Director's Award for his contributions to the QlikView data visualization administration team. Dr. Gene F. Civillico joined the OSC in 2016 as program manager for the Stimulating Peripheral Activity to Relieve Conditions (SPARC) Program. Dr. Civillico earned his Ph.D. in neuroscience at the University of Pennsylvania School of Medicine, studying sensory integration in the rodent cerebral cortex using extracellular recording and voltage-sensitive dye imaging in vivo. He received postdoctoral training in cerebellar physiology and two-photon microscopy techniques at the Princeton Neuroscience Institute. In 2009 Dr. Civillico joined Otsuka Maryland, where, in partnership with an NIH-funded biotech firm, he led a small team using a novel functional screen to search for modulators of synaptic vesicle cycling in prefrontal cortical neurons in culture. Dr. Civillico moved to the Food and Drug Administration’s Center for Devices and Radiological Health (FDA/CDHR) in 2011, where he developed a research portfolio targeting common problems in the translation of neuroengineering research concepts into clinical solutions. Dr. Civillico maintains a research program in neural prosthetics at FDA/CDRH. Dr. Richard Conroy joined the Office of Strategic Coordination in 2017. Prior to joining the Office, Dr. Conroy was the director of the Division of Applied Science and Technology at the National Institute of Biomedical Imaging and Bioengineering (NIBIB), where he oversaw the institute’s portfolio of programs in biomedical imaging. While at NIBIB, he also served as a coordinator for the Common Fund Single Cell Analysis and 4D Nucleome Programs. Dr. Conroy received his Ph.D. from the University of St. Andrews and M.B.A. from the University of Maryland University College. Dr. Stephanie Courchesne-Schlink earned her Ph.D. in neuroscience from Harvard University. Her research focused on neurotrophin signaling in the development of sensory and motor neurons, as well as pathological disease states that occur when neurotrophin signaling and downstream cellular responses are altered. 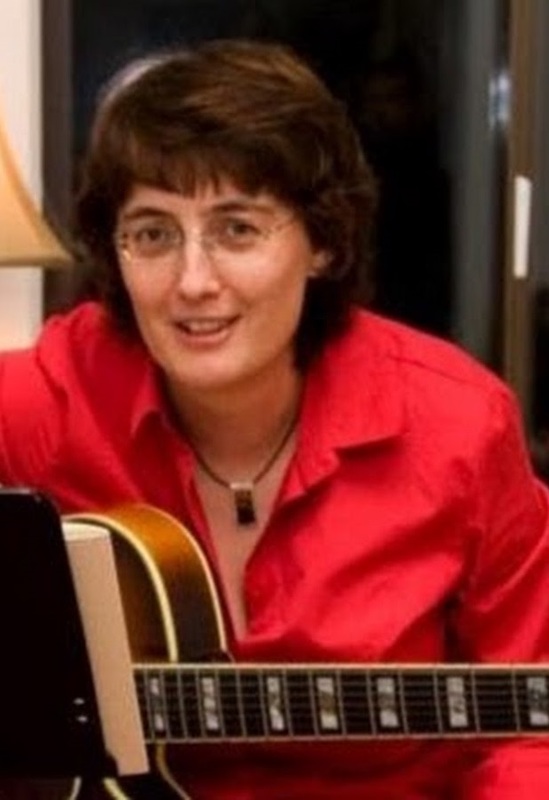 Dr. Courchesne-Schlink was a Science and Technology Policy Fellow with the American Association for the Advancement of Science (AAAS) in the Office of Strategic Coordination from 2010-2011. In 2011, she joined the Office of Strategic Coordination as a Health Science Policy Analyst. From 2014 to 2019, Stephanie was the Team Leader for Policy, Planning, Evaluation, and Communication. In 2019, she became the Senior Advisor to the OSC Director. Chris Darby has worked at NIH since 1994. She served as a grants management specialist for 20 years and has worked at seven Institutes before joining the office in 2017. Her most recent experience was at the National Human Genome Research Institute (NHGRI) where she managed a complex grant portfolio which included grants from 8 different Common Fund programs. 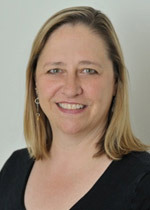 Dr. Leslie Derr is currently a program director for the NIH Common Fund in the Office of Strategic Coordination (OSC). She received a Ph.D. in genetics from Duke University. Following post-doctoral work at the Frederick Cancer Research and Development Center, she joined the NIH as a principal investigator with the National Institute of Allergy and Infectious Diseases (NIAID). Her lab used the yeast Saccharomyces cerevisiae and its retrotransposon Ty as a model to study RNA-mediated recombination in order to increase our understanding of the role of RNA in genome evolution. Dr. Derr moved to the National Cancer Institute (NCI), during Dr. Klausner’s tenure as director, to work in the Office of Scientific Opportunity, driving forward the “Areas of Extraordinary Opportunity,” challenges meant to greatly advance scientific progress. She later joined the Center for Biomedical Informatics and Information Technology (CBIIT) as program manager for the NCI cancer biomedical informatics grid (caBIG), served as director of community alliances and was a member of the CBIIT senior leadership team. 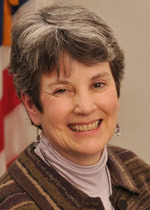 Before joining the OSC, she served as communities of practice coordinator for the Regional Extension Center Program, supporting electronic health record (EHR) implementation efforts and the meaningful use of health information, in the Office of the National Coordinator for Health Information Technology, Office of the Secretary, Department of Health and Human Services (HHS). Jeannine Dizon joined the Office of Strategic Coordination (OSC) in 2018 as a Student Trainee. Prior to her current job title, she served as an NIH Pathways Summer Intern at the OSC, primarily charged with developing video content and facilitating communication strategies to promote a variety of research programs within the Common Fund. She also performs volunteer research work with the National Human Genome Research Institute’s (NHGRI's) Undiagnosed Diseases Program, focusing on analyzing the usefulness of the UDP's Matchmaker Exchange. She balances her duties at NIH with being a full-time high school senior at Charles Herbert Flowers High School in Springdale, Maryland. She will be graduating in May 2019 and will be majoring in Biology for her undergraduate studies. She aspires to receive a medical degree to become a surgeon, and travel to third world countries to provide proper healthcare for the underprivileged. 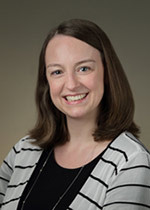 Ms. Kristina Faulk joined the NIH in 2001 as a research assistant in the Laboratory of Infectious Diseases at the National Institute of Allergies and Infectious Diseases. Her research focused on pathogenesis and immunogenicity of Hepatitis C and E viruses, and GB virus B. 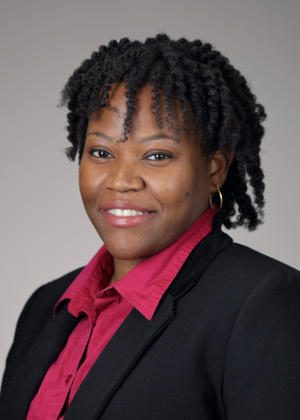 Prior to joining NIH, Ms. Faulk was a research assistant in DuPont’s Agricultural Biotechnology division working on insect and disease resistance of rice plants, and a contractor in DuPont Merck’s Pharmacokinetics unit, which focused on HIV therapeutics. 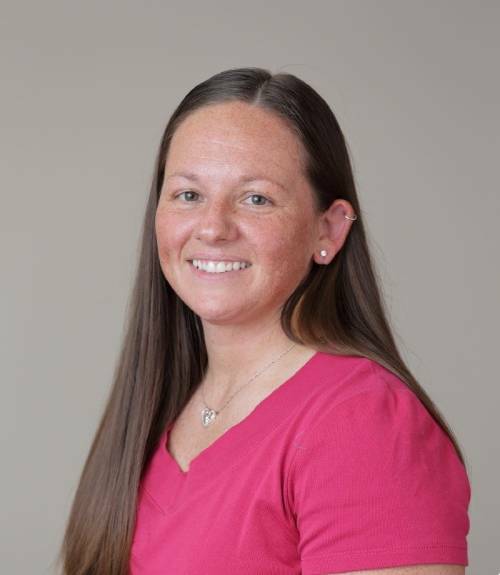 Ms. Faulk received her bachelor’s degree in biochemistry from the University of Delaware and her certificate in technology transfer from the Foundation for Advanced Education in the Sciences. She is currently pursuing dual master’s in biotechnology management and business administration through the University of Maryland University College. Ms. Faulk joined the Office of Strategic Coordination as a Health Specialist in 2013. Karen Hamilton joined the Common Fund in the Office of Strategic Coordination as an Executive Assistant to the Director. Before joining our office, Karen worked at CSR since 2016 as an administrative assistant, doing program management support, administrative operations, meeting logistics, and application tracking/processing. Prior to that, she served in several roles that focused on physical activity and personal training. Karen earned dual bachelor degrees in Athletic Training and Exercise Science from Towson University. Scott Jackson received his bachelor’s degree in industrial and systems engineering from Georgia Tech, focusing on information systems and industrial/organizational psychology. He received a master’s degree in public administration from the University of Georgia. Mr. Jackson came to the NIH in 2005 as a Presidential Management Fellow and worked in various offices within NIH and the Department of Health and Human Services (HHS) as part of that fellowship. He began working in the precursor to the Office of Strategic Coordination (OSC) in 2006. Following his fellowship, he was hired into the OSC as the Process Manager, and later served as the Team Leader of the Common Fund Operations Team and Acting Team Leader of the Policy, Planning, Evaluation, and Communication (PPEC) Team. Mr. Jackson now serves as the Associate Director, overseeing the Operations and PPEC teams and all administrative matters for the office. Ms. Petronila Joseph came to NIH in 2004 where she worked at the National Institute of Diabetes and Digestive and Kidney Diseases (NIDDK) as an extramural support assistant. Moved to the National Cancer Institute's (NCI's) Intramural Research Program in 2009 and worked there until 2012. She worked in the Laboratory of Receptor Biology and Gene Expression for Lab Chief Dr. Gordon Hager, and the Laboratory of Experimental Carcinogenesis for Lab Chief Dr. Snorri Thorgeirsson as a program specialist. 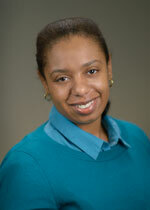 Ms. Joseph moved to OSC on September 2013 as Office Manager to Dr. Elizabeth Wilder. Dr. Patricia (Trish) Labosky joined the Office of Strategic Coordination in 2012. 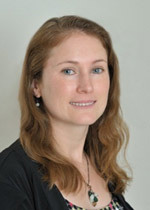 She earned her Ph.D. from Wesleyan University studying the differentiation of pluripotent stem cells, and did her postdoctoral training at Vanderbilt University where she furthered her interest in stem cells and early development generating some of the first germ line competent embryonic germ cell (EG cell) lines. After her postdoctoral work, she was an assistant professor at the University of Pennsylvania from 1997 - 2006. In 2006 she moved to Vanderbilt University where she was a tenured associate professor in the Department of Cell and Developmental Biology and the Center for Stem Cell Biology. She was also a scientific co-director of the Vanderbilt Transgenic Mouse Embryonic Stem Cell Core and the faculty director of postdoctoral affairs. Dr. Labosky's research focused on studying genes that control normal development of the mammalian embryo and mediated cell lineage decisions in multiple disparate stem cells. Her lab was funded by multiple NIH awards and foundation grants and resulted in many publications. Dr. Rebecca N. Lenzi earned her Ph.D.in biology at Georgetown University in 2007, with a concentration in molecular and cellular biology. Her doctoral work focused on the transcriptional regulation of the ADE genes in Saccharomyces cerevisiae. She completed postdoctoral work from 2007 to 2010 at the U.S. Military HIV Research Program, where she studied immunogenetic factors influencing HIV infection and clinical disease course, uncovering specific alleles contributing to protection from HIV in East African populations. Dr. Lenzi served as a program officer at the Institute of Medicine of the National Academies, for studies in wide ranging areas from traumatic brain injury to human gene transfer. She is a graduate of the University of Notre Dame with a Bachelor of Science in biology and a minor in art history. Dr. Aron Marquitz joined the Office of Strategic Coordination in 2015 as a health specialist contractor. Prior to joining OSC, he was a research associate at the University of North Carolina studying the role of Epstein-Barr virus in a variety of cancers, where he started as a Leukemia and Lymphoma postdoctoral fellow. 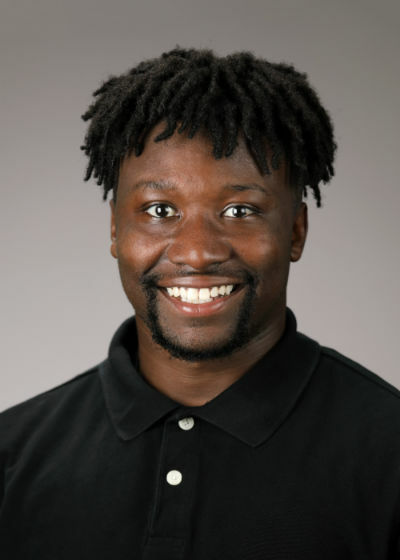 He obtained his Ph.D. in pharmacology and cancer biology from Duke University, where his thesis focused on cell cycle checkpoints in Saccharomyces cerevisiae. Prior to Duke, he obtained a B.S. in molecular biology from the University of Pittsburgh, where he studied the cell biology of sea urchin embryogenesis. Dr. Becky Miller joined the Office of Strategic Coordination in 2014. 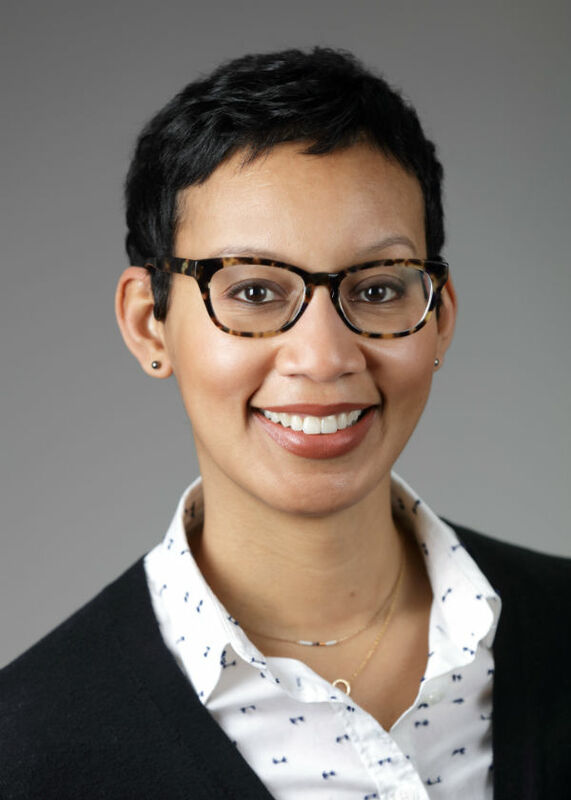 She serves as the program officer for the NIH Director’s Early Independence Award and assists in programmatic management and outreach for the High-Risk, High-Reward Research program. She did her postdoctoral work at the National Institute of Allergy and Infectious Diseases (NIAID) studying mosquito transmission of drug-resistant malaria. She earned her Ph.D. from the University of Notre Dame studying genomic variation in malaria parasites and was a GLOBES NSF IGERT fellow. She studied population genetics and phylogeography of mountain whitefish for her M.S. in molecular biology and received a B.S. in zoology, both from Brigham Young University. 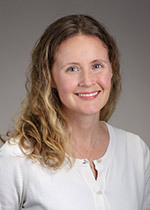 Dr. Stephanie Morris joined the Office of Strategic Coordination (OSC) in 2018 as a program officer for the Molecular Transducers of Physical Activity and the Somatic Cell Genome Editing programs. Dr. Morris earned her Ph.D. in biochemistry and biophysics from the University of North Carolina at Chapel Hill, where she was a Ford Predoctoral Fellow and studied the transcriptional role of histone-modifying enzymes. 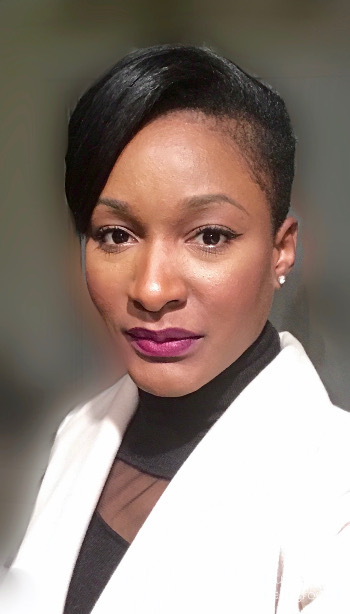 She performed her postdoctoral work at the NIH in the National Cancer Institute (NCI) in the Laboratory of Receptor Biology and Gene Expression, where she focused on the genome-wide activity of chromatin remodeling enzymes involved in nuclear receptor function and was funded by a UNCF-Merck Postdoctoral Fellowship. Prior to joining OSC, Dr. Morris served as a Program Director in the National Cancer Institute's (NCI’s) Center for Strategic Scientific Initiatives in the Office of Cancer Nanotechnology Research where she managed a portfolio of nanotechnology research projects and centers. She also developed new research initiatives such as the Innovative Research in Cancer Nanotechnology program and served on NIH and interagency working groups focused on nanotechnology data sharing. She received her bachelor’s degree in biology, and neuroscience and behavior from Wesleyan University. Mr. Michael Morse the Operations Team Leader and a grants management advisor to the Director of the Office of Strategic Coordination (OSC). He facilitates the communication of funding decisions from OSC to the grants offices of the administering NIH Institutes and Centers (ICs) and provides grants guidance and support to both the OSC and the IC Grants Offices. 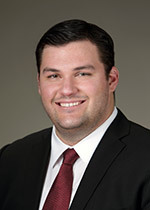 Mr. Morse earned a bachelor's degree in business management from the University of Maryland. He spent 14 years in the banking industry before joining NIH. In 1990, he went to work for the National Heart, Lung, and Blood Institute (NHLBI) as a grants management specialist. He worked there for over a decade before moving to the National Institute of Arthritis and Musculoskeletal and Skin Diseases (NIAMS) as the deputy chief for their grants office. He was involved in training for grants specialists and seminars for the Society of Research Administrators. He left the government for a brief period, and returned to grants management work, this time on the NIH Roadmap, now known as the Common Fund. Ms. Ellie Murcia received her bachelor’s degree in business administration from Goshen College. She received a master’s degree in international education from the University of Massachusetts. 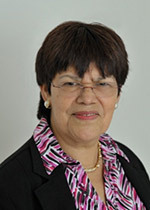 Ms. Murcia came to the NIH in 2000 as a program analyst in the Office of the Director at the National Institute of Dental and Craniofacial Research (NIDCR). She began working with the NIH Roadmap since its inception in 2004 and stayed when it transitioned into the Common Fund with the NIH Reauthorization in 2006. Ms. Murcia is a program specialist and serves as the NIH Guide Liaison for the Common Fund and is part of the Operations Team supporting the four programs of the High-Risk, High-Reward Research initiative and the Transformative High Resolution Cryo-Electron Microscopy program. Ms. Sonynka Ngosso joined the Office of Strategic Coordination (OSC) in 2017 as a scientific program analyst for the Big Data to Knowledge (BD2K) program. Prior to joining the OSC, she served as a scientific program analyst for BD2K in the Office of the Associate Director for Data Science. She obtained her B.S. and M.S. in biology from Towson University, where she studied the visual orientation of gypsy moth larvae to emissive colors to provide a basis for the development of safer biocontrol measures, such as light traps, to control the destructive effects of this pest on crops and vegetation. Ms. Ngosso also holds a M.B.A. in health care management from the University of Baltimore Merrick School of Business. Dr. Concepcion (Marie) Nierras joined the Office of Strategic Coordination (OSC) from JDRF International (previously Juvenile Diabetes Research Foundation), where she was in charge of international partnerships. She served as program officer for JDRF’s portfolio in genetics, including genetics of susceptibility to type 1 diabetes, and genetics of diabetic nephropathy. As part of the program team representing funders of the International Type 1 Diabetes Genetics Consortium, Dr. Nierras had extensive interactions with colleagues at the National Institute of Diabetes and Digestive and Kidney Diseases (NIDDK) and at the National Institute of Allergy and Infectious Diseases (NIAID). Dr. Nierras received her Ph.D. in genetics from the University of Wisconsin-Madison, and did postdoctoral research at Oxford University and the Albert Einstein College of Medicine. Ms. Kate Nicholson is a program analyst on the Common Fund Operations Team. She assists three program leaders with the management and implementation of Common Fund programs. 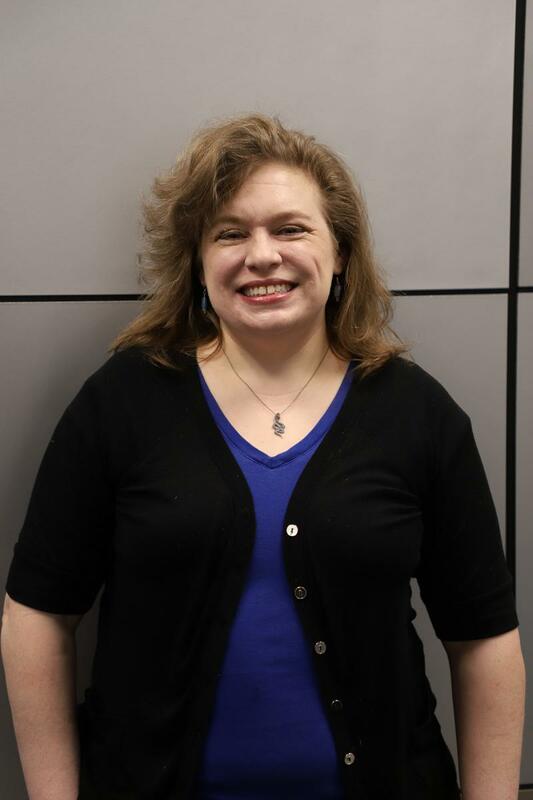 Ms. Nicholson is a site administrator for the Office of Strategic Coordination (OSC) SharePoint site and is the Contracting Officer’s Representative for several OSC contracts. 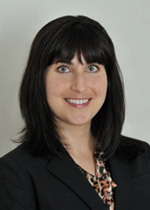 Prior to joining the Common Fund in 2011, Ms. Nicholson was a program analyst with the National Institute of Diabetes and Digestive and Kidney Diseases (NIDDK). 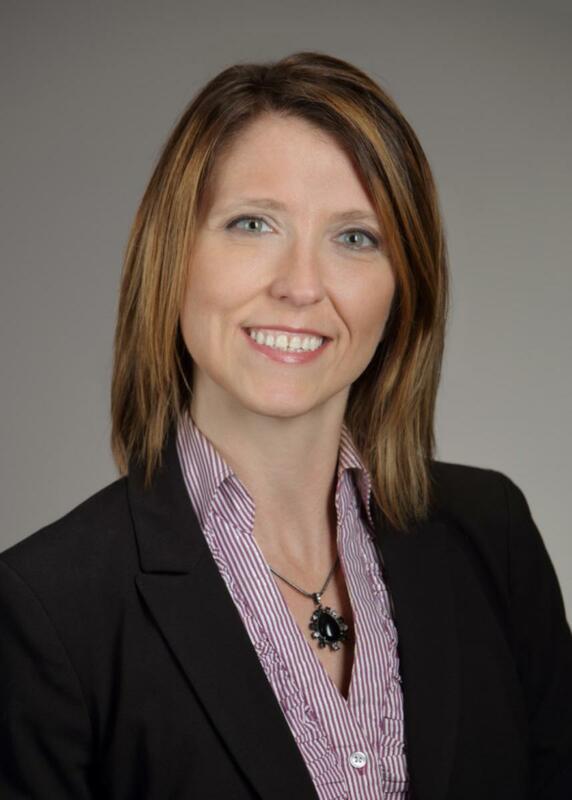 Ms. Nicholson has several years of experience consulting to federal, state, and local clients. Ms. Nicholson received a Master's of urban planning from the University of Illinois at Chicago and a bachelor’s degree in sociology from the University of Maryland. 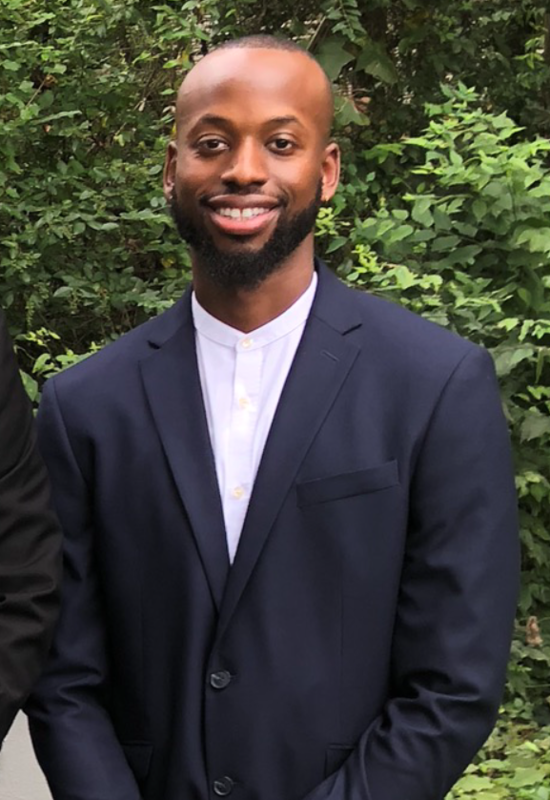 Michael Ojiere joined OSC as a Program Specialist in November of 2018. He was previously employed with the Social Security Administration as a claims examiner where he organized appointments and presented summaries of medical and psychiatric findings to in-house staff for assessment of impairments. He also served as a liaison with other departments within Social Security and the Department of Education to ensure quality and efficiency in processing claims. Mr. Ojiere has experience teaching tactics to minorities to improve health literacy and to deal with chronic conditions. He worked as a fitness coordinator where he planned and evaluated programs and events for the YMCA of Central Maryland. Mr. Ojiere graduated from Frostburg State University in 2015 with a B.S. in kinesiology. Since 2007, Dr. Mary Ellen Perry has been a program leader in the Office of Strategic Coordination, overseeing the development, implementation and assessment of several cutting-edge programs. Prior to joining the Office of the Director, Dr. Perry was a program director for the National Cancer Institute (NCI), where she oversaw a grant portfolio focused on research in aspects of molecular biology of particular relevance to cancer. Until 2016, Dr. Perry also maintained a laboratory at the NCI, employing genetically engineered mice to explore the relationship between development and cancer. Her background in cancer research is founded on a Ph.D. in biochemistry from the University of North Carolina and post-doctoral fellowships at Princeton University and the Imperial Cancer Research Fund, London (now part of Cancer Research, UK). For seven years, she led a cancer research laboratory at the University of Wisconsin-Madison, where she succeeded in winning two NIH grants, publishing several papers, and training five Ph.D. students, two of whom are now professors. Dena Procaccini, M.A., joined OSC in November of 2018 as the Scientific Program Manager for the Human BioMolecular Atlas Program (HuBMAP). Ms. Procaccini received her B.S. from Ursinus College in 1995, and her M.A. from the College of William and Mary in 1997, both in the field of Biology. In 2011, she joined the National Institute on Drug Abuse (NIDA) as the Scientific Program Analyst for the Epigenomics program. While at NIDA, Ms. Procaccini assisted in the coordination and management of the Roadmap Epigenomics program, the Extracellular RNA Communication program, and the International Human Epigenomics Consortium. In 2017, Ms. Procaccini became the Scientific Program Manager for the Translator Project, where she coordinated the workgroups and liaisons within the program, until she joined OSC. 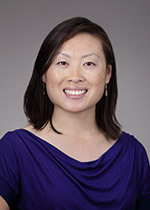 Dr. Felicia Qashu joined the Office of Strategic Coordination in 2016 to serve as other transaction (OT) officer in the Stimulating Peripheral Activity to Relieve Conditions (SPARC) Program. Dr. Qashu earned her Ph.D. in neuroscience in 2009 from the Uniformed Services University of the Health Sciences (USUHS), studying neuroanatomical and electrophysiological changes in the amygdala in a rat model of epilepsy. In 2010, she joined the Defense and Veterans Brain Injury Center (DVBIC) as a scientific advisor, and then became the DVBIC deputy director of research in 2013. At DVBIC, Dr. Qashu was responsible for overseeing a clinical research program on traumatic brain injury (TBI) in military service members and veterans. 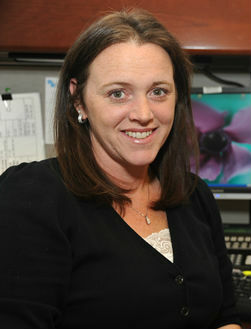 She maintains active collaborations in TBI, focusing on concussion assessment, acute clinical management, and recovery. 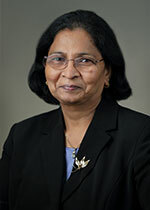 Dr. Ananda L. Roy joined the Office of Strategic Coordination in 2015. Dr. Roy earned his Ph.D. from the University of Nebraska, studying mechanisms of mammalian peptide chain initiation, and did his postdoctoral training at the Rockefeller University where he studied mechanisms of transcription initiation and gene regulation. He biochemically discovered and molecularly cloned TFII-I transcription factor. He went on to join Tufts University School of Medicine in 1993 and stayed there till he joined the Office of Strategic Coordination. At Tufts, he further developed the biochemistry and biology of the TFII-I family of proteins in health and disease. He also studied genome-wide transcriptional and epigenetic regulation of gene expression in the immune system. Dr. Roy has trained many graduate students and post-doctoral fellows and directed the Graduate Biomedical Program in Genetics at Tufts. Dr. Roy has been awarded several NIH and Foundation grants, chaired external grant review panels and currently serves on several journal editorial boards. Dr. Roy maintains a research program at the Laboratory of Molecular Biology and Immunology, National Institute on Aging (NIA), focusing on transcriptional signatures associated with immune-cell activation. 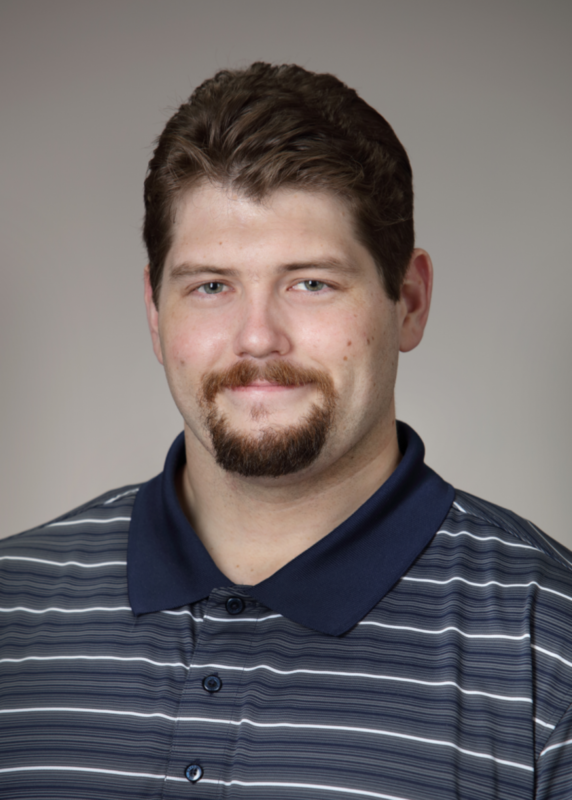 Mr. Mike Steenstra joined the Office of Strategic Coordination as a communications specialist contractor in 2014. In 2015, he joined the Operations Team and provides operational support for four Common Fund programs. Prior to joining the Common Fund, Mr. Steenstra was the membership & communications specialist for a non-profit that promoted safe transportation of hazardous materials. In this role, he managed the content of the website, led communication efforts between the organization’s working groups and committees, and was an integral part of a team that organized all aspects of the organization’s annual conference and quarterly meetings. 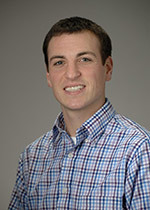 Mr. Steenstra is a 2009 graduate of Calvin College, in Grand Rapids, MI, with a B.A. in business communications. Dr. Lyl Tomlinson joined the Office of Strategic Coordination (OSC) in 2018 as a Science & Technology Policy Fellow with the American Association for the Advancement of Science (AAAS). Before joining the OSC, Dr. Tomlinson completed his graduate studies in neuroscience at Stony Brook University in New York. His doctoral research focused on the role of aerobic exercise in promoting the maturation of support-like brain cells (oligodendrocytes) in adolescent mice. 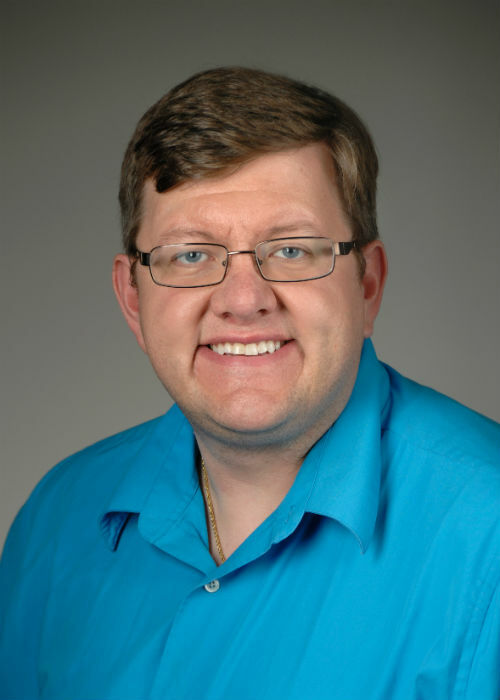 During his time as a post-doctoral scholar, he continued developing his previous research interests, while acting as a program coordinator for graduate career development and scientific workforce-related programs. Dr. Danyelle Winchester joined the Office of Strategic Coordination (OSC) as a health specialist contractor in February 2017. She earned her Ph.D. in human genetics from Howard University (HU). Prior to joining the OSC, Dr. Winchester was a postdoctoral fellow at the Johns Hopkins University School of Public Health. As a fellow, she investigated whether variants of genes involved in the immune response were associated with prostate cancer risk and intraprostatic inflammation. Dr. Winchester obtained a Bachelor of Science in biology from the University of Maryland Eastern Shore.